Norway wasn't always known for its peace politics. In the 16th and 17th centuries, 135 "witches" were indicted and 91 were burned (many of them indigenous Sami) in Vardø, the easternmost town of Norway. 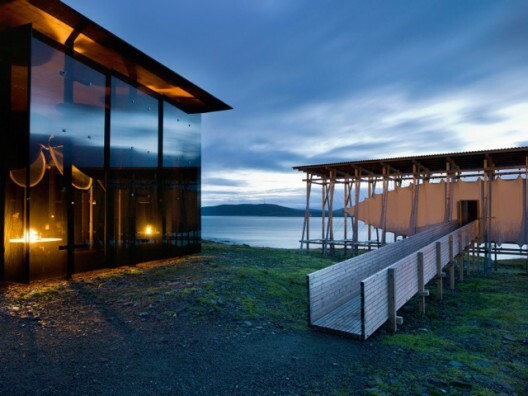 Today the victims are being memorialized as part of an ongoing $400 million architecture and design development project along Norway's 18 designated National Tourist Routes, which include roadside lookouts and new design hotels. 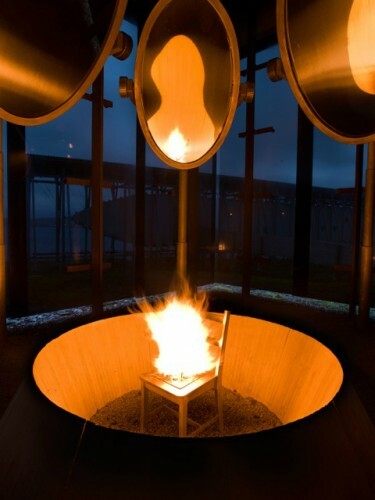 This particular monument—designed by artist Louise Bourgeois and Pritzker Prize-winning Swiss architect Peter Zumthor—is a chair enveloped in flames and enclosed in a 125-meter-long building, with a window built for each victim of the witch hunt. 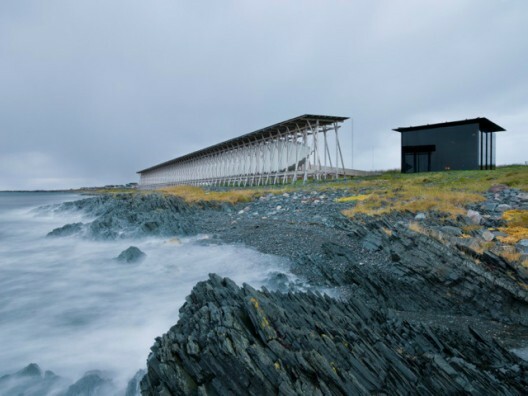 In memory of those persecuted in the seventeenth-century Finnmark Witchcraft Trials, the Steilneset Memorial rests along the jagged coastline of the Barents Sea in Vardø, Norway. 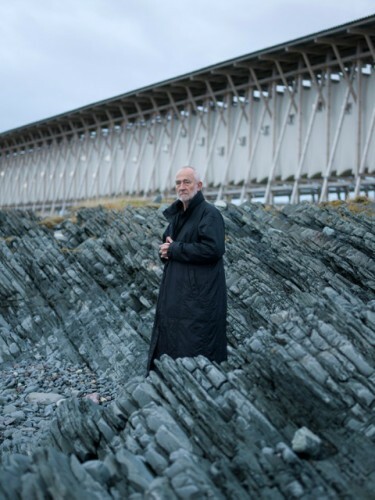 Photographer Andrew Meredith has shared with us his photo series documenting this masterpiece created by a unique collaboration between the world-famous Swiss architectPeter Zumthor (Basel, 1943) and the influential contemporary artist Louise Bourgeois (Paris, 1911-2010). 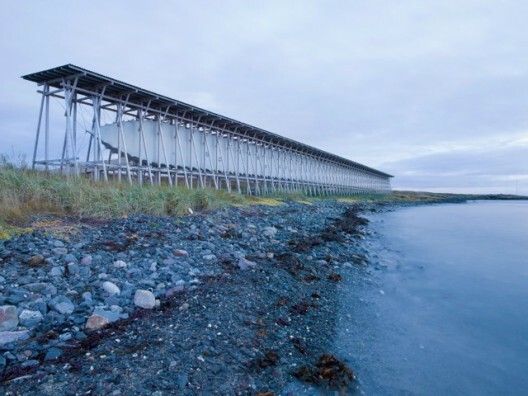 Continue reading to view the photographs and learn more about the Steilneset Memorial. Zumthor’s pine scaffolding supports a suspended silk cocoon. 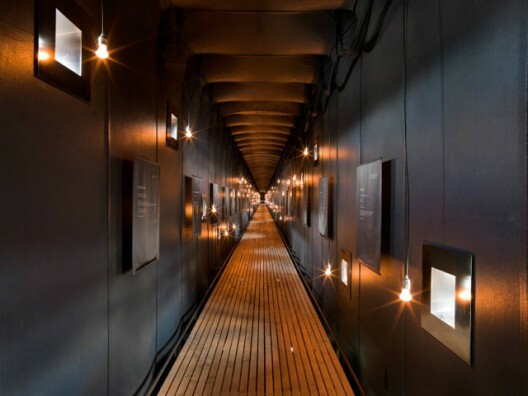 Within the cocoon, visitors walk along a 400-foot long oak-floored corridor. A hanging light bulb floats behind each of the 91 windows, illuminating them in memory of the 91 individuals who were convicted of sorcery and burnt at the stake. Each window is accompanied by a plaque that reveals the story of each individual. Serving as Bourgeois’s last major installation, “The Damned, The Possessed and The Beloved” contains an endless flame burning upon a steel chair that lies within a hollow concrete cone. 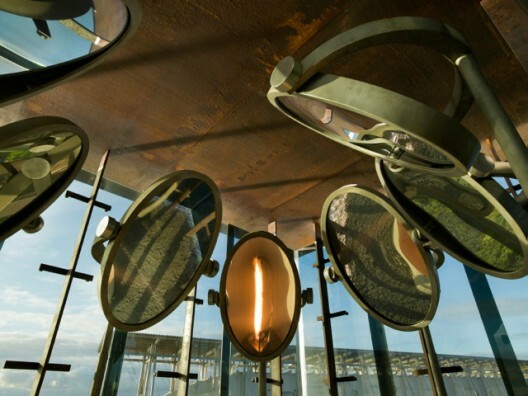 Reflections of the flame bounce off of every surface as the chair is surrounded by a series of circular mirrors. 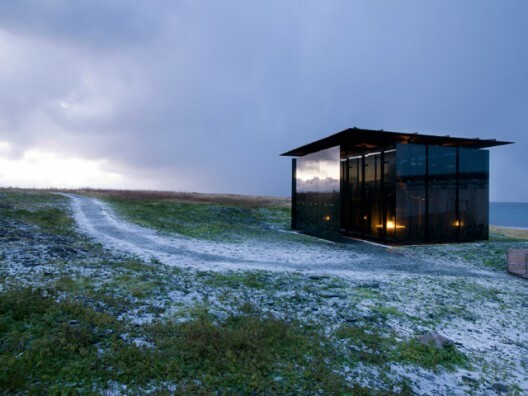 The installation is housed within a smoky, reflective glass structure that contrasts Zumthor’s long, wooden installation. Andrew Meredith was originally commissioned by Icon Magazine. We also recommend article on Wallpaper magazine’s website.